“Raw” isn’t always a bad thing. That’s true in Japanese cuisine as well as many other food-based traditions. But you’d never guess it from hearing Gordon Ramsay yelling the word repeatedly with dissatisfaction. In any language, adjectives give us significant information about the nouns they describe, which can include all kinds of foods. With the help of a modest extra word or two, you can imagine the exact taste of something you may never even be close to, let alone eat. But, as is evident in the example above, adjectives are also incredibly versatile, and allow the possibility of a huge range of expression and opinion. 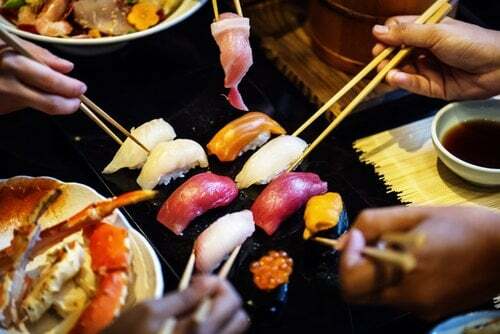 This means that learning Japanese food adjectives not only will help you glean important information about various nourishment before you partake of it, but will also allow you to describe, discuss and even argue about the tastes, textures, smells and looks of various foods—all in Japanese! In this post, we’ll look at some commonly-used food adjectives in Japanese. Then, we’ll take things to the next level by learning grammar structures you can use to describe food before and after you’ve tasted it. We’ll even go a little beyond adjectives and get into more sophisticated and complex ways you can talk about your food. But first, let’s take a quick look at Japanese food culture, to add some context to your Japanese learning. In the culinary world, there are plenty of unique and interesting ingredients and tastes. However, Japanese cuisine and food could arguably be considered a tad apart from all the others just in terms of its quite specific traits. This isn’t to say that other countries don’t have their own equally valuable food cultures that are worthy of the same level of consideration—but hey, we don’t care about all that right now, it’s all about Japan this time around! Japanese food culture consists of national cuisine, traditional food customs, proper eating etiquette and a few more tiny aspects like indigenous ingredients and such. Of course, all of those aspects have undergone some changes with time, which is a part of the culture as well. The Japanese have a variety of expressions used before, during or after meals, far more than you often find in other languages. There are certain special kinds of meals served only at certain times. A good example of this is お節料理 (おせちりょうり), or the New Year’s food. A variety of dishes have special symbolic wishes for things like longevity, wealth, fertility and happiness. The modern age means modern influence, and all kinds of new food with it. Japan is full of Western food, but even so, they tend to avoid mixing Western food with Japanese food. If you’re eating scrambled eggs, you won’t be eating sashimi with it. Or if you eat rice, bread is a no-no. Of course, there are some new fusion-style restaurants, but let’s be honest, those are just for fun, you couldn’t actually eat only what they serve there and stay alive for long. Jokes aside, one of the healthiest nations in the world may be healthy thanks to, among other reasons, its reasonable protein and carbohydrate intake. Once you’re done with this post, you can keep combining your study of Japanese food adjectives and other vocab with authentic cultural context by using FluentU. 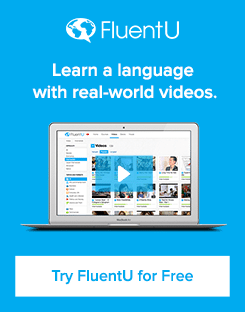 FluentU takes real-world videos—including ones about food-related subjects like Japanese street food, the phrase “umami” and this “heart-warming wintertime meal”—and turns them into personalized language learning lessons. Now that we’ve briefly reviewed Japanese food culture, let’s get ready to describe all that food! The following list will provide you with some basic knowledge of Japanese adjectives related to food. Each word will have one example sentence so that you can immediately get an idea of how you might use it. Let’s get to it! But the next level up will be a bit more interesting, so if you’re ready, let’s move on! All you robots out there without the ability to taste organic materials will love this part, because here we’ll be describing food without tasting it. To be precise, the structure below is used when describing something based on its appearance only. In other words, when you want to express the properties of an object, but you haven’t interacted with said object. But let’s not complicate things. We’ll get right to the point. Here’s how the structure is built. First, you need to put the adjective in its 連用形 (れんようけい, renyou form), or the continuative form as it’s called in English. You can build renyou form by removing the い from the end of an adjective. Congratulations, you can now describe food without tasting it! Shall we try it out in a few sentences? Go ahead and try writing out a few sentences with this construction in them. Practice makes perfect! So we’re going on to the next level. Now it’s time to describe food you’ve already tried. Sure, you can use adjectives, as you’ve already learned to do in this post, but why always take the easy route? The complicated way is always more fun—improve through hardship and vary your vocabulary and grammar structures while you’re at it! This time, we’ll describe food with verbs. Well, verbs that are a bit altered, but verbs nonetheless! The below structure is used for describing the difficulty of performing an action. Of course, we’ll be using it only for describing food-related actions here. Once again, we need the renyou form, but this time, instead of adjectives, we’ll be using verbs. The principle is pretty much the same, but with a slight difference. This is a tad more complicated, but bear with me. “Wait, what? !” you may be thinking, “What’s masu form?” Masu form is basically polite present tense, or polite future tense, depending on the context. In other words, renyou form and masu form are the same. We just tend to call it masu form since it’s easier to remember. This may seem somewhat complicated to those of you who aren’t familiar with the concept, so let’s just take a second to clarify things. All end with masu, right? In this case, the masu form of our examples would be, 行き (いき), あり and 読み (よみ). To summarize, masu form and renyou form are the same thing, and it’s used with both adjectives and verbs. Having said all that, it’s time to continue with our main topic. Let’s get back to our examples and continue where we left off. After that, we need to add the appropriate suffix: にくい if it’s hard to do and やすい if it’s easy to do. Keep in mind that substituting adjectives with verbs is no easy feat. Adjectives exist for describing things and verbs for doing things, linguistically speaking. But since Japanese offers us a chance to train our brains a bit and do this, try to take full advantage of that in your food descriptions and switch things up. Was I wrong when I told you this is way more fun than simply using adjectives? Try doing it yourself, you’ll see what I mean. The amazing and vast world of food in Japan is very special. From interesting and unique ingredients to simple but delicious dishes, as well as complex delicious ones, they have it all. To show respect towards this part of the Japanese culture, the least we can do is learn how to describe all of it with words! This way, the next time you eat, cook or buy Japanese food, you won’t have to worry if you got what you wanted or accidentally disrespected the cook with your lack of appropriate adjectives. You’re now prepared to start your food adventure, young grasshopper.